Please note that accommodation is not included in the “OPTION 1” conference package. All participants are required to proceed with hotel booking as soon as possible due to limited availability. Delphi is one of the most important archaeological sites in Greece, welcoming thousands of visitors every year and most of the hotels have only few rooms. Offers on Hotel Booking sites are starting at 25.- Euro (including breakfast). Please book throughÂ our organisation partner Landfly Travel Services to take advantage of reduced rates when booking beforeÂ 30.03.2015. Terms and Conditions see below. The Amalia Hotel is the only 4* hotel with an exquisite location right next to the European Cultural Centre of Delphi. The completely renovated Acropole Hotel is a quaint, family-run hotel characterized by its personal and individual service. Known for its hospitality and welcoming atmosphere, Parnassos Hotel at Delphi guarantees a personal service. Landfly Travel also offers a large selection of hotels in Athens for the delegates interested in visiting the city after the conference. For information about transport options between Athens and Delphi, please visit the “Travel to Delphi” page. 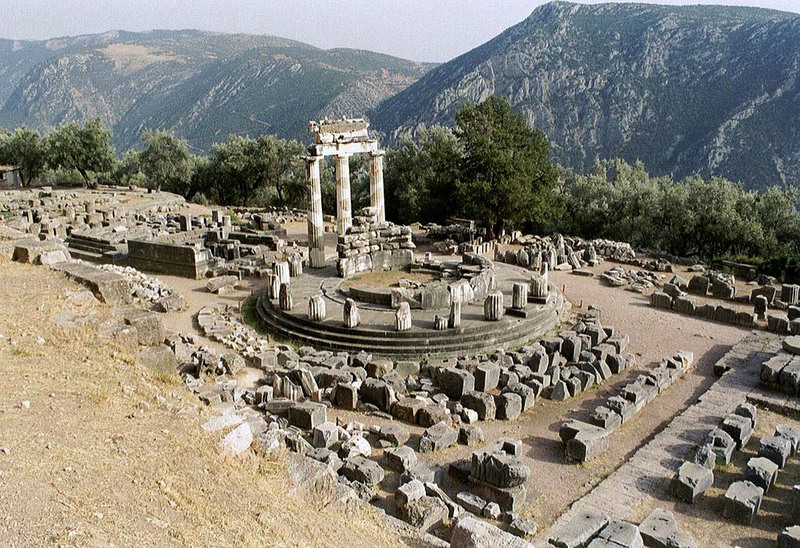 For tourism information aboutÂ Delphi, please visit the “Tourism Information” page.